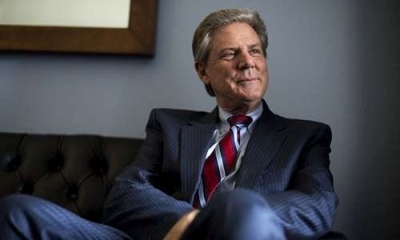 United States Representative Frank Pallone (D-New Jersey) has announced his plans to introduce new federal-level legislation that will revamp and unify the patchwork of laws that currently affect sports betting and other forms of gambling in the US. Pallone, who is the ranking Democrat in the House Energy and Commerce Committee, plans to bring a thorough discussion and investigation of the issue and the related laws before his committee. Pallone’s aim: To create an overriding law and new framework that will provide uniformity to all forms of gambling in the US. The ESPN piece, announcing Pallone’s plans, cited three existing laws as being part of the target of Pallone’s plans: The 1961 Wire Act (which even in its post-2011, narrowed form, bans the electronic transmission of sports-betting information); the 2006 UIGEA (the Unlawful Internet Gambling Enforcement Act, which targets the online transfer of illicit gambling funds through the US’s banking system); and of course 1992’s PASPA (the Professional and Amateur Sports Protection Act), the law that gives the state of Nevada a virtual monopoly on single-event sports wagering within the US. At least two other existing laws will also have to be considered as part of the discussion, if Pallone’s plans are as ambitious as claimed: The 1978 Interstate Horse Racing Act, which specifically carves out horse racing and other forms of pari-mutuel wagering from the grips of the old Wire Act; and the 1988 IGRA (Indian Gaming Regulatory Act), which grants the US’s myriad tribal nations the right to launch gaming operations on declared reservation lands, and which has come under fire as tribal operation have sought to move their gaming online in recent years. Rep. Pallone has long been a foe of both daily fantasy sports (DFS) and PASPA as they exist today. DFS was essentially created through a legal loophole in the poorly-written 2006 UIGEA, which allowed such betting because it was not team result-oriented. In 2015, Pallone introduced a similar bill to look at DFS and other forms of gambling, but that bill went nowhere and eventually expired within Pallone’s Energy and Commerce Committee. Though this latest initiative was announced with somewhat greater hullabaloo, it may indeed cover the same general legal ground; until discussions are held and a preliminary measure is introduced, industry watchers won’t know for sure. The chances for Pallone’s bill to pass out of committee and at least have the chance of receiving a House-wide look would increase in the unlikelihood that Pallone’s Democratic Party won a majority in the House in November’s upcoming elections. Frank Pallone’s own seat is viewed as safe, but at the current time, the rival GOP is projected to retain overall House control by a very thin margin. Similar projections suggest that the Democrats will both retain the US presidency (Hillary Clinton), and gain a narrow majority in the US Senate. Several states, including Pallone’s New Jersey, have increased pressure on federal legislators to revisit the current slate of federal gambling laws. Leading the pack of targets is the hated 1978 PASPA, which serves as a barrier to any state hoping to enhance its taxable revenue via sports-wagering services.